Stir up in your Church, O Lord, the spirit that animated our Father Saint Benedict, that filled with this spirit we may learn to love what he loved and practice what he taught. 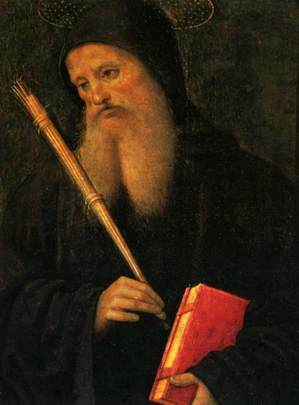 Today is the commemoration of the passing of Saint Benedict (known also as the Transitus of Saint Benedict). The monks of Montecassino noted the serenity of his death making him a patron, an advocate for the dying. We attribute something similar to Saint Joseph, whom we celebrated on the 19th. Those who wear the “St Benedict Medal” will notice on the margin encircling the image of Benedict the Latin words: Eius in obitu nostro præsentia muniamur (May we be strengthened by his presence in the hour of our death)! I might note, the Medal of Saint Benedict is THE most indulgenced medal the church has and the proper blessing of the medal contains an exorcism. Because of the Saint’s love of the Cross and his fighting of Satan, the medal has been known to protect against evil. Six days before he died, Benedict gave orders for his tomb to be opened. Almost immediately he was seized with a violent fever that rapidly wasted his remaining energy. Each day his condition grew worse until finally, on the sixth day, he had his disciples carry him into the chapel where he received the Body and Blood of our Lord to gain strength for his approaching end. Then, supporting his weakened body on the arms of his brethren, he stood with his hands raised to heaven and, as he prayed, breathed his last. Pope Saint Gregory the Great, Dialogues, book 2, c. 37. The feast celebrate today is not so much a feast about the advocacy of a good death –an important aspect of our Christian life life– as much as it is to hold before our eyes an authentic witness to Jesus Christ and His Gospel. No other saint of the Church as affected the world as Saint Benedict has. Most holy confessor of the Lord, Saint Benedict, Father of monks and nuns, guide and intercede for the salvation of us all.